Here you can download free RSS reader feeds, which also supports various web tools, including GitHub and Basecamp. We live in a world where the use of the Internet is a major part of many computer users' lives. Most people surf the internet in connection with online shopping or to get in touch with family and friends, but the Internet is also widely used when it's time to read about the latest news in politics, weather, sports or other themes that awaken your interest. Instead of visiting a variety of websites to find today's news, you actually have the opportunity to gather the news from your favorite websites only in one place using the RSS Reader Feeds for Mac. The program is clear and free - better, it will hardly be. If you think that sounds like something for you, you've come to the right review! 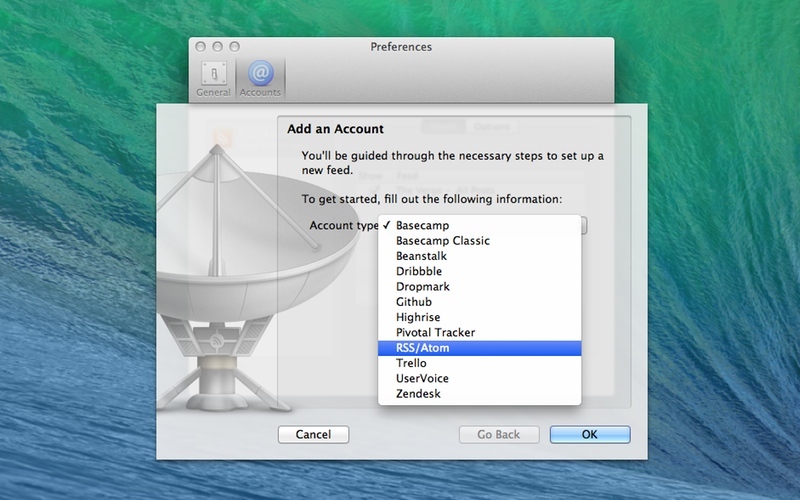 Before downloading a new application for your Mac, it's always a good idea to use a security program that can control and optimize your computer. For this purpose, you can, for example, download the MacKeeper security utility. Why download an RSS reader at all? Are you interested in keeping yourself up to date in an easy and manageable manner? Then an RSS reader is likely to be a tool that you can not do without. In short, an RSS reader keeps up to date with news from your favorite news services directly through the menu bar on your Mac computer. You will typically recognize your RSS reader through an orange logo in the right hand corner. But how do RSS readers really work? RSS stands for Really Simple Syndication, and is a technology that is being used today by more and more - and this for good reason. When you download an RSS reader and put it on your computer, the reader will continuously scan selected webpages with RSS feeds. With this you will be able to save a part of the time you spend in front of the computer in the long run, because with an RSS reader you no longer need to visit the individual websites, but will be kept automatically updated. There are a number of different RSS readers on the market, so it is of course important that you find the program that suits you best. 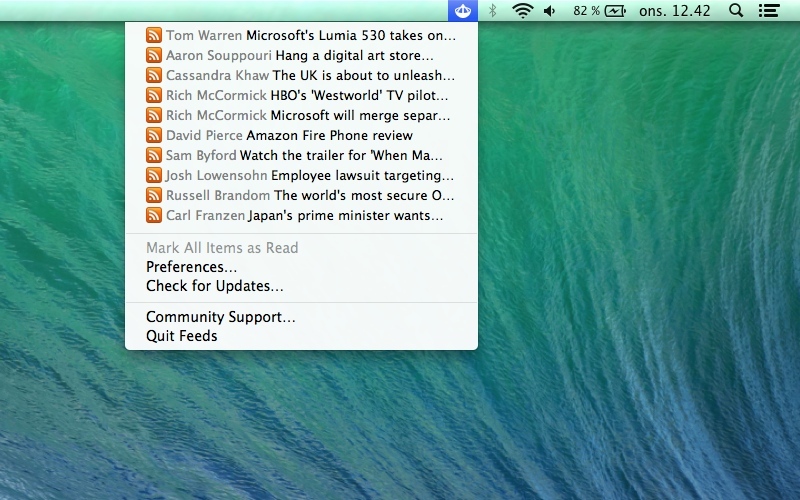 An example of a formidable RSS reader, if you have a Mac computer, is Feeds. In order to get the optimum user experience of your news reading, it is also important to use a good internet browser. An example of a well-known web browser is Google Chrome, but if you are unsure which internet browser you need to download, we've collected some of the most popular web browsers here. If you are interested in downloading an RSS reader for your Mac, it's first a good idea to get an overview of the program's features so that you can evaluate the program is something for you. The most used feature in the Feeds application is probably the RSS reader. When you start using the program, you start by adding different sources from the websites and news services that you want to receive regular updates from. Once you have added the list of your sources, you will be able to see a list of the latest updates and news in the form of a title, a short summary, and a link to the original source, so you can quickly read the entire post. 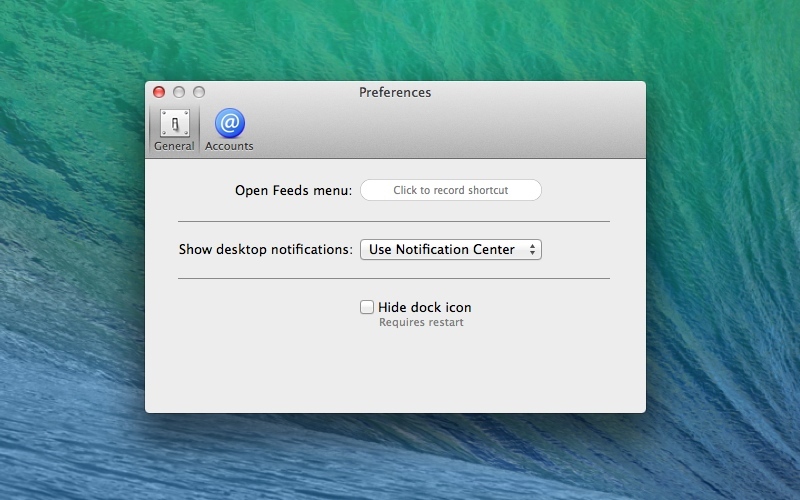 You also have the option of having Feeds remind you of notifications about new posts in the corner of your screen. If you are interested in reading more about the program itself, you can visit the manufacturer's own official website by clicking here. It's also important that your RSS reader is user-friendly so you get the most out of the features that the program has. The feeds feature is simple and the design is simple and easy to understand why you can easily learn to navigate the program. In addition, Feeds also supports other web tools such as GitHub and BaseCamp. If you are interested in reading the full list of web tools that Feeds supports, you can also read this at the manufacturer's official homepage. Availability - Can you download Feeds? Accessibility is an indispensable point when it comes to downloading new applications to their computer. If you are looking for a well-functioning RSS reader for your computer, the program must support the operating system that you use. Feeds officially support Macs, and this RSS reader is therefore an optimal choice for you who own a Mac. If you find the review of Feeds interesting, but do not even own a Mac computer, do not worry! There are other options that you can choose from, so you can also get the pleasure of a smart RSS reader that keeps you updated on the latest news. Of course, not all computer users who own a Mac, and should you, or one you know, happen to be one of them, you can readily read here. Feedreader is an RSS reader that officially supports Windows XP, Vista and 7. The program, like Feeds, can help keep you updated quickly and easily on important news from your favorite news sources. Feedreader is like Feeds an application free for you to download, which is something that many computer users appreciate. We will briefly summarize why we would recommend you to download Feeds as RSS reader for your Mac. 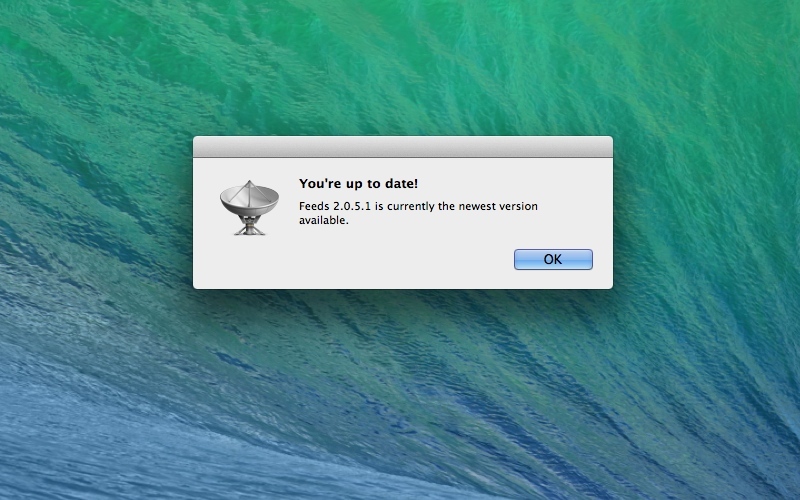 Feeds is a smart web tool for your Mac computer that keeps you up to date on important news from selected news services directly through the menu bar at the top of your computer screen. You can also be reminded with small notifications in the corner of your screen when the news is ready so you do not miss exciting and important posts. With Feeds, you get a clear and smart application for your Mac, which keeps bringing together news in one place.